It’s his big day, not yours. Leave the yellow, double breasted, windowpane blazer in your closet. Ask the groom what the dress code is. It’s always best to err on the side of caution, as there are other ways for your personality to shine through. Dress practically for wherever the wedding is to be held. There is no point in wearing your best double monk shoes if the ceremony is being held on a beach in Haiti. Do a reccy of the location online beforehand and dress appropriately for that location. It’s going to be a long day, so think practically. This is not the time to wear in those sturdy brown brogues you just bought. You’ll likely be drunkenly dancing (only real men dance) and spilling various liquids on yourself, and you don’t want to be wearing your £300 Barkers when you wake up in the morning with the headache from hell, and a puddle of your own liquid running down your leg into said shoes. 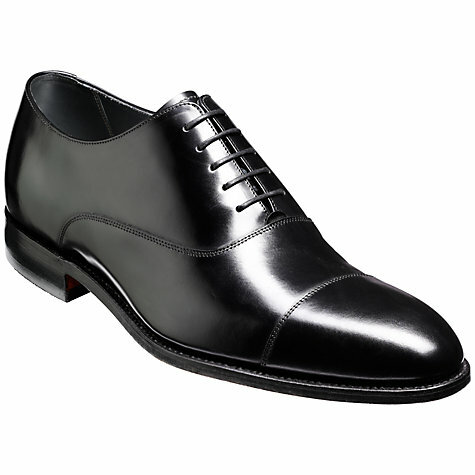 Break out a mid-range oxford or derby. Wear these with a crisp white shirt and you’re golden. The groom, best man and ushers aren’t the only ones who should be properly sized up before a wedding. Get to a tailor with the suit you plan on wearing and ask them to hem the trousers with a break (where the trouser rests when you’re standing) at the top of your shoe and bring the jacket in at the sides and the arms if they’re too long. Again, some combos just work well. If you’re wearing a navy suit, a burgundy tie and white shirt works wonders. If it’s a grey suit and white shirt, you can afford to be a bit more adventurous with the tie selection. If the wedding is mid-August, leave the tweed three-piece at home. 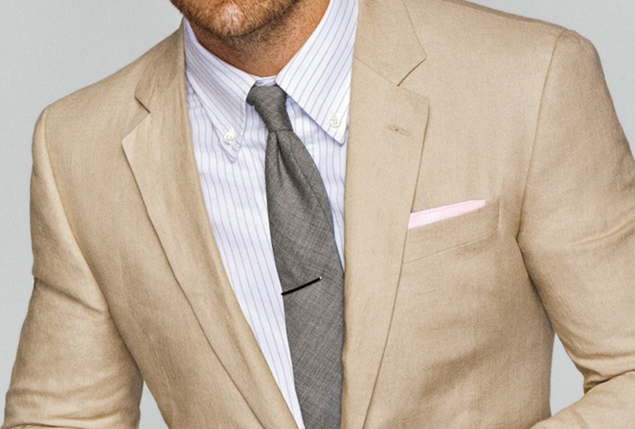 Wear something lighter, such as linen (if you’re brave enough) or thinner cotton. You don’t want to be ruining your best brown suede 1880 Loakes when there is a sudden (yet expected) English downpour right out of the blue. Check the weather and dress for it. An umbrella is your best friend. He’s got your back. Pocket squares, ties, cuff links, tie clips, belts – this is their time to shine! Just don’t go crazy with it. Remember: ‘classy’ is the word of the day.